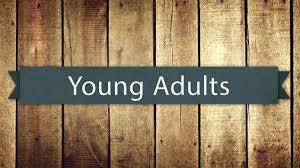 The ‘Young’ Adult Group began meeting in early 2018 and is continuing to meet for dinner and fellowship, beginning at 6:30pm each Wednesday evening. In addition to getting to know each other better, in the fall of 2018 we spent several weeks talking about the Image of God, living a Christ-like life, and the story of Jesus’ encounter with a wealthy young man. And, we are excited to be planning for 2019! We have spoken with Rev. Dr. Kay Huggins about leading a short series for the group, and continue to look forward to sharing, deepening, and transforming our faith through reflecting on Scripture and life journeys over shared meals. You, your teens, children, and guests are welcome and encouraged to come and join us. Contact the church office at 505-242-8005 or office@secondpresabq.org for more info.